CAT, that company that is usually associated with heavy machinery, actually makes/sells smartphones too. It has announced a new flagship smartphone, which combines the ruggedness you might expect from such a company with up-to-date functionality (Android 6.0) as well as an integrated thermal camera made by FLIR. The CAT S60 handset is designed for utility and construction workers as well as those, who work in harsh environments. Despite expectations, the smartphone will cost about the same amount of money as flagship devices from other manufacturers. Just like other CAT-branded smartphones designed by Bullitt Group (the company behind Cat Phones), the CAT S60 is rather bulky for good reason and is built on a die-cast stainless steel frame with carbon fiber inlays and a multitude of various details to ensure that the handset is dust- and water-proof. According to the developer, the smartphone can withstand drops onto concrete from up to 1.8 meters (MIL Spec 810G) and can even be used underwater (up to five meters depth) for one hour. The CAT S60 has special switches to block speaker and microphones when used underwater. 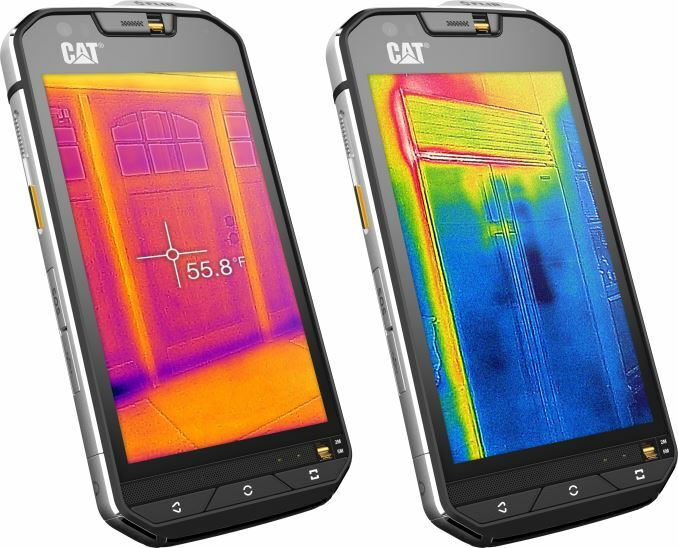 The key feature of the Cat S60 is its miniature thermal imaging camera based on the FLIR Lepton sensor (with 80×60 active pixels). The camera, which highlights temperature contrasts, can be used to identify over-heating electrical appliances and circuitry (or just check which computer components are the hottest ones and measure their actual temperature using a special application), detect heat loss around windows and doors, spot moisture and missing insulation and even see in complete darkness. The Cat S60 smartphone is based on the octo-core Qualcomm Snapdragon 617 system-on-chip (one block of eight ARM Cortex A53 cores up to 1.5 GHz, Adreno 405 graphics, a single-channel LPDDR3 memory controller, Wi-Fi, Bluetooth and an integrated X8 LTE modem with Cat 7 baseband capabilities) and Google Android 6.0 Marshmallow operating system. The handset features a 4.7” capacitive multi-touch display with 1280×720 resolution and improved brightness (540 nits), which is designed in such a way that it can be used while wearing gloves. The screen is protected with 1mm Gorilla Glass 4. 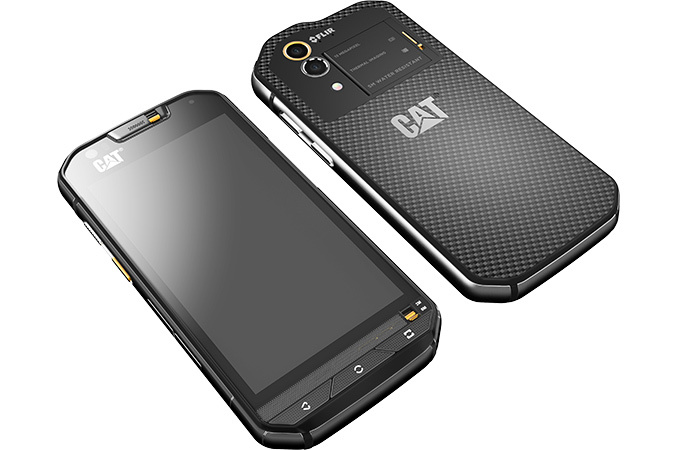 The Cat S60 is also equipped with 3 GB of LPDDR3 memory, 32 GB of NAND flash storage (expandable using a microSD card), an underwater 13 MP main camera with dual-LED flash as well as a 5 MP front-facing camera, Wi-Fi, 4G LTE and Bluetooth wireless technologies, a host of sensors as well as a 3800 mAh battery. The phone can be connected to a PC or a charger using a micro-USB port. 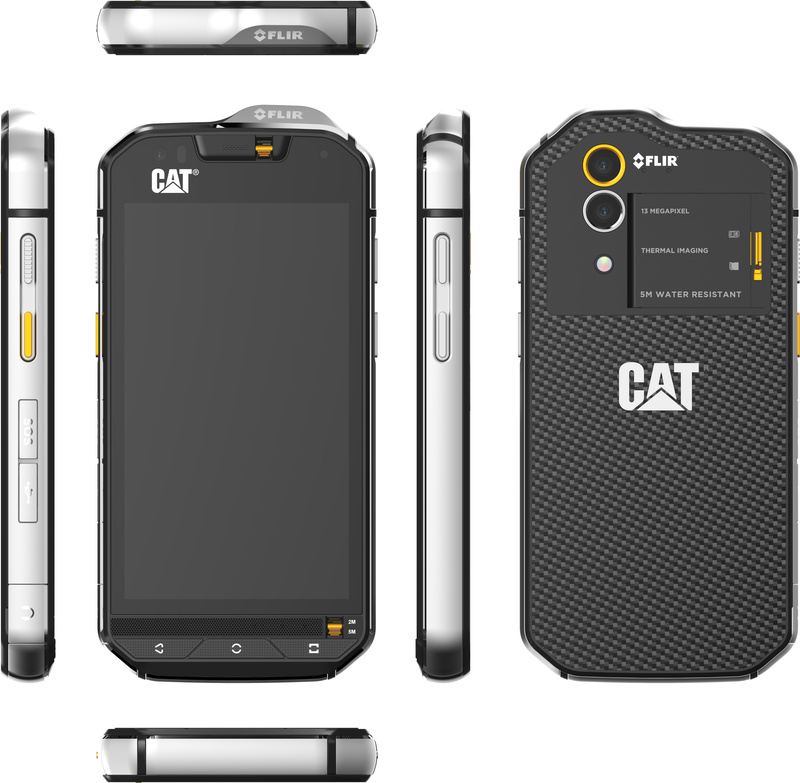 CAT will demonstrate the S60 at Mobile World Congress and will make it available later this year for $599 in the U.S. or €649 in the E.U, although this is individual pricing and doesn't reflect the expected contract arrangements that might occur with larger businesses. Considering the fact that the smartphone more resembles a working tool than just a handset, its price does not seem to be too high, especially given that the smartphone thermal camera market is starting to take off (albeit at higher than 80x60 pixed quality). The fact that it is integrated rather than an add-on means it would get lost/broken less in a work environment. All that being said, the battery is non-removable (most likely due to the water proofing) and the dimensions/weight are unknown, but from the renders it might be more akin to a size of a larger 5.5-inch device and over 200g.